Driving back to Boston from the Sunapee area, I have spotted patches of these red berries just beyond the side of the road in several low lying areas. This time I pulled over to take a photo and possibly to steal a branch or two for holiday trim. But no single branch seemed to be a representative of the collective effect... so I left them undisturbed. Happy Holidays! Here's a fun project I did for law firm Gallagher, Callahan & Gartrell. 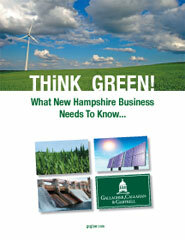 They wanted to publish information on NH's "green" initiatives and make it standout on their web site. So, Infoworks! created a nifty PDF brochure that presented the information with style, while avoiding the cost and environmental impact of printing. Given the "green" nature of the piece it was the perfect solution. The brochure is offered as a download from their website at gcglaw.com and includes an offer for a free, enviro-friendly, reusable, cotton shopping tote. Get one while they last! Just launched a new site for Doherty, Cella, Keane & Associates a law firm that concentrates exclusively in social security disability law. The new site is live and now we're trying to get Google to recognize the new pages. Will update this post soon with a screen shot and more information about the firm's services handling social security disability claims for individuals nationwide. For more info, go to: social-security-law.com. I'm happy to announce that the Infoworks!-developed web site mbbp.com (designed for law firm Morse, Barnes-Brown & Pendleton) has been awarded a 2007 web award for outstanding achievement in web site development. The Standard of Excellence award is given by the Web Marketing Association in a variety of industries — this site was judged in the Legal Services category on seven criteria: design, innovation, content, technology, interactivity, copywriting and ease of use. I've been too busy with other web sites and blogs to tend to my own. (Shame on me.). Here's a brief rundown on what I've been up to lately to bring this blog up to date. As usual, I do continue to blog at Amy Campbell's Web Log, primarily on law firm marketing bits, so check there for more blogging goodness. At the start of 2007, I went live with a beautiful new web site for business law firm Morse, Barnes-Brown & Pendleton. Check it out, it's a definite portfolio piece. The site was the culmination of the firm's rebranding. I assisted on that as well. Great firm. Nice people! 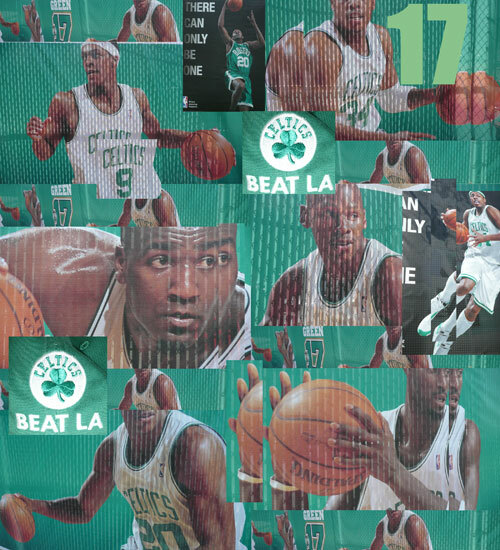 I did a similar thing in a smaller way with Boston trademark attorneys Samuels & Hiebert. The other big news is the launch of Legal Marketing Reader. This is a web site I developed just for the hell of it. OK, not really. I created the site (with help from Fierce Frontiers) to perform a little automated magic -- it grabs the RSS headline feeds of the top law firm marketing bloggers (that I have hand selected) and presents their most recent posts on a one-page dashboard. The end result is a free and handy tool for keeping up with news on the legal marketing front. Check it out at: legalmarketingreader.com. The other reason I developed it was to demonstrate my own information-of-value marketing philosophy. If you build it, they will come. And I've been busy with other web site maintenance chores, search engine optimization tasks, took in all day seminar on Google Adword (pay-per-click adversing) and have stayed busy resurrecting Law Links | Health Links, and starting Medical Malpractice Law Blog.